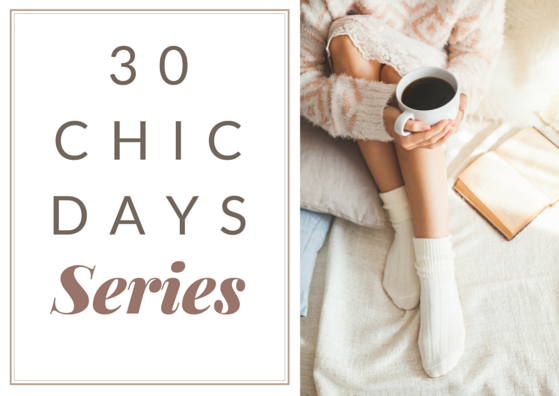 I'm on the home stretch now finishing up my newest book 'Thirty Chic Days: Practical inspiration for a beautiful life'; we're down to the final edit and then it will be released - I'm planning for it to be out in March - exciting! However, having a messy and cluttered home office does not feel good when I'm writing. My home office is the room that everything gets put into and it's really putting a crimp in my creativity. So I have been decluttering this space with Marie Kondo's 'Does this spark joy?' question in mind. The bookshelf above, sits behind my writing desk, and this photo of it is post-streamlining. The photo below, is the 'before' photo. There is a whole extra row of books along the top, plus piles are stacked on top of the standing books in each cubby. The After photo calms my heart. I am donating a lot of books. There were many fiction books that I thought I'd read again but I haven't. An example: I had all Sophie Kinsella's wonderfully funny and nutty books including the Shopaholic series. I will probably re-read some of them at some stage, but I can easily borrow them from our library, and in the meantime someone else can enjoy them and I'm not having to house them. The only book in the fun-fiction category I have kept is Jemima J, by Jane Green. I love this book and have read it many times. I was surprised to see on Amazon that it had really polarising reviews - it seems you either love it or hate it. I'm also moving along those books that don't inspire me as much as I thought they would - sometimes it's something as small as (literally) the font. One book that looked like it might interest me had such tiny font and really closely spaced lines, so much that it made my eyes funny. I'm not in the market for large print just yet, but this tiny print was ridiculous. 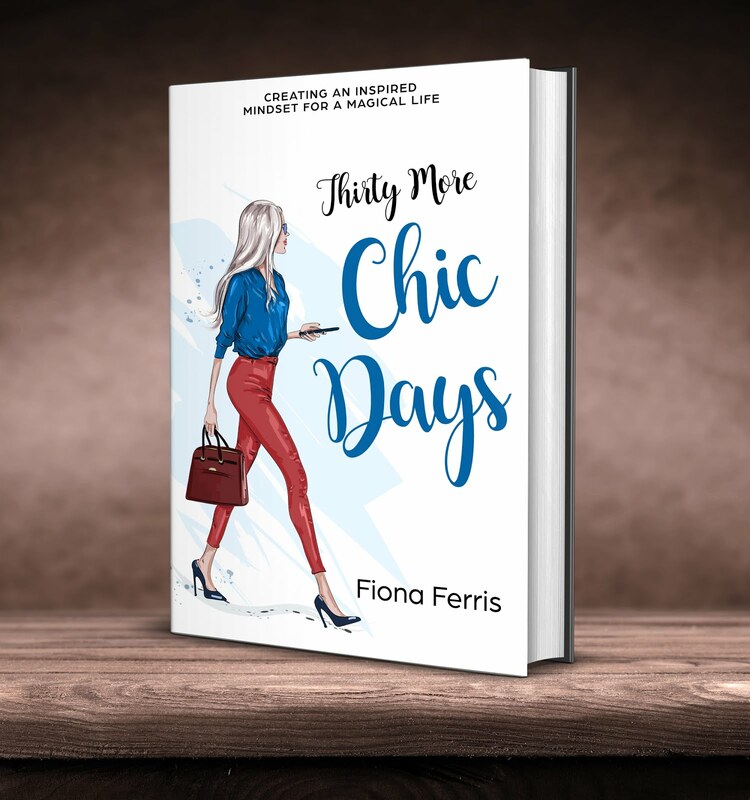 I don't need that kind of aggravation in my life so out this book went - and I checked to make sure the font on Thirty Chic Days was not too small :). Some books that I kept simply needed their dust jacket removed and I loved them again. Some dust jackets look outdated or are faded, and when you reveal the simple cover underneath, the book seems quite different. I love Debra Ollivier's Entre Nous and can't ever see myself decluttering that, but another of her French-themed books 'What French Women Know' I was on the verge of donating because it had such an awful red and black dust jacket, with no image and no design qualities whatsoever. Looking inside the book showed me that I actually probably wanted to keep it because the information within looked quite delicious, so I removed the dust jacket and found a simple white cover with pretty pastel spine detail. I felt bad throwing out all these glossy paper book covers, but I know I will enjoy the books much more without them. And then there were books that just didn't resonate with me anymore. Ten or fifteen years ago they did and I read and re-read them then, but now, well I've moved onto other things and some information I just don't need anymore. I've learnt and implemented, and now it's time for someone else to have a chance to read those books. The final type of book I donated was reference books that I knew I would never pick up - it would be straight to Google for me. Look at those stacks of books waiting to be released into the wild - they look so ready! I did have a few issues with the donation boxes though. You know how cats like to hide in boxes? Well, Nina (on the left) and Jessica (right) are no exceptions. They stayed in the boxes so long I was getting impatient. I wanted to get those books packaged up and out of my home office. Eventually they surfaced and I could box everything up though. I haven't completely finished my home office declutter, but this was a big part of it and the energy feels so different already - fresh, airy, clean - and this inspires me to keep on going (not that I need motivation right now - I've got it all goin' on). A great Feng Shui tip I read, was 'make your least favourite place into your favourite place'. When I think about which was my least favourite place in our home it was definitely the home office, because even though I want to sew and write in there, it was a dumping ground of items to donate or store and it wasn't a very inspiring place to be. No more though; as I streamline, clean and scent my home office, it's now the place that lifts me up and makes me feel so creative. What area of your home would you say is your least favourite, and... just what are you going to do about it? Thank you - you always inspire me, just when I need it! I'm also tackling the home office and needing more shelving! My son moved out many years ago and I used his bedroom for a storage area.....but because I had to walk by that room everytime I went into my room, it would drive me crazy because it didn't look very nice...this past year, I purged so much stuff I didn't need or want or like....I bought a couch, desk, TV, table, bookcase and fixed it up into a den....now I love to walk past, and sometimes I just go sit on the couch in there and pet the cat.....I love it now! Karen, your den sounds wonderful. I get the feeling of it from your description - like a soothing retreat. Well done! 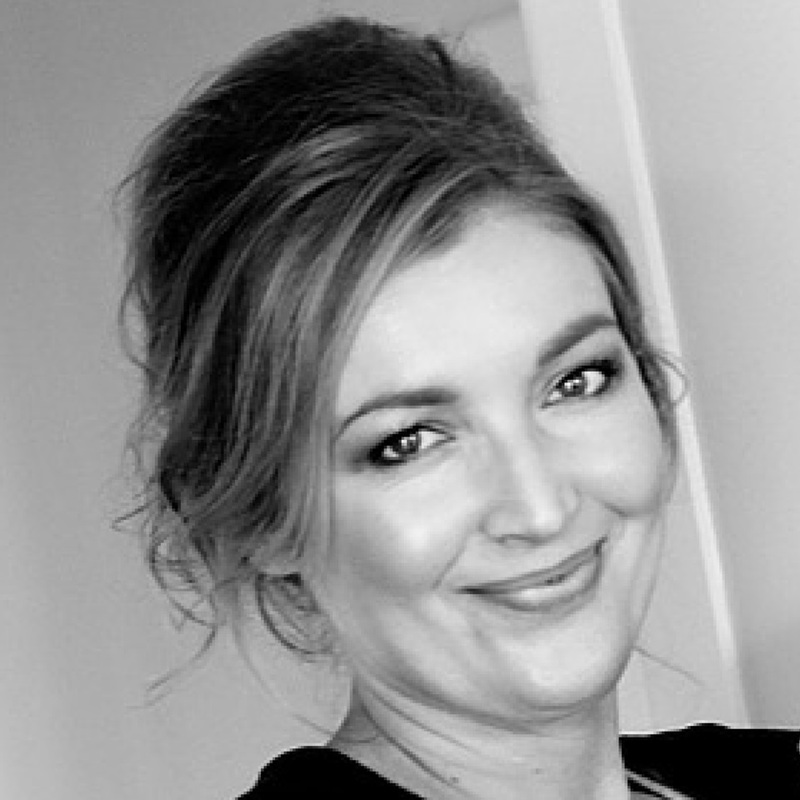 Fiona- just like Karen, my son's former bedroom was the place to hide things. Last fall, I updated our guest room with a decluttering, new paint and some new accessories that complimented an old quilt I had. Now I love it! So I am doing the same with Justin's room. Inspired by an unusual floral pillow sham I found at Country Curtains, I am looking forward to getting rid of the old and designing the new. Marie Kondo's book has been a real inspiration. As you might imagine, I have a lot of books. I do this often. One thing that gets interesting is that I'm very lucky to have a lot of friends who write books so I always keep theirs on my shelf, even if (I hate to say this publicly!!!) I don't care for them! Terrible, I know. But nobody can like every book out there! It's fine! PS I see mine there! Yay! okay you have convinced me to get started! 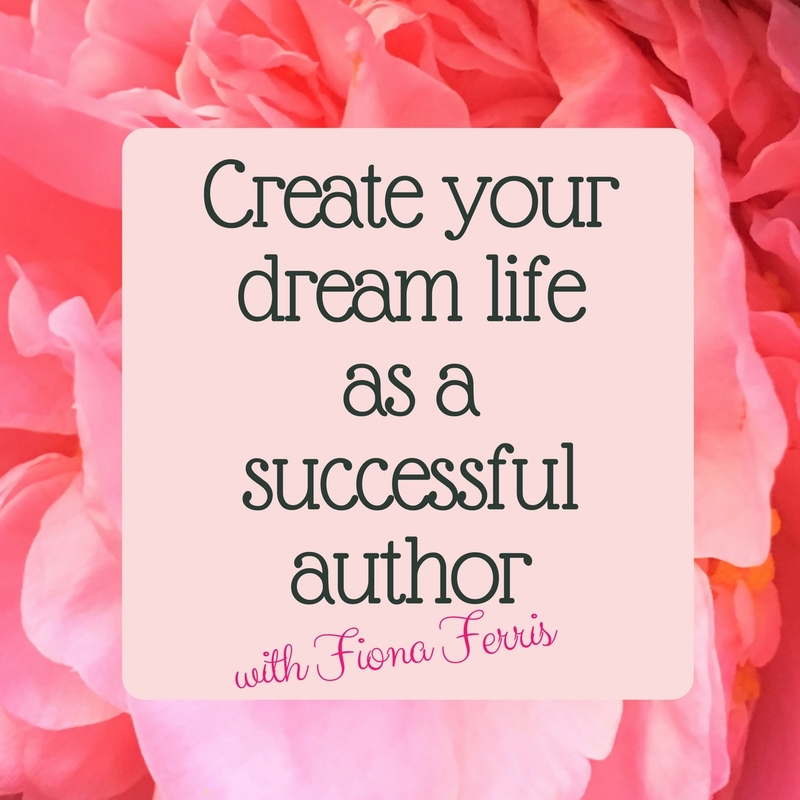 Thanks Fiona, for being always encouraging, inspiring, humorous, and never ever nagging! Carol in L.A. 87F yesterday. where oh where is el nino? Whatever you clear out or tidy up, it does have a calming effect ... however, with your newly arranged books, I hope you won't mind my saying, but they'd look even better if 'fronted up' as we used to say when I helped out in a friend's bookshop years ago. That means the books should all be in line on the front edge, so that any gap was at the back, not in front. This neatens the line of books and looks really smart. They don't have to be right to front of the bookshelves, but as far to the front as needed by the widest book. Does that make sense? Other than that, well done on weeding your books. My last weed produced around 300 books for a local charity shop. They came with a van to collect them! Kristien, room-by-room, such a great way to go. Your ideas sound lovely :) It's so nice to go and spend time in the 'new' rooms too, even if just a few minutes. Kristi, maybe you can have a 'hall of fame' bookshelf for your writer friends, which could be somewhere else in your home than where the main bookshelf area is? Yes, of course all my Gabriella Giovanni mysteries are there, and I have your La Bella Figura book in the living room (I have a small set of shelves there, for classics and current reading). Margaret, I never thought of that, I shall front up my books straight away :) 300 books! Well done, and it's lovely to hear from you. Our cats love to play inside boxes too! I have a few books that I keep and they are mostly French themed and fashion style books. Our street has an outdoor lending library that we built in a found cabinet so all my pre-read fiction books go in that to share with the neighbours. I am going to read both those books and have them on reserve at the library...de-cluttering feels so good and spring is when I really get inspired to get serious about deep cleaning and donating surplus stuff. I'm just finishing Marie Kondo's latest book about sparking joy and will plunge into the purging fray this weekend. I did a half attempt last year at decluttering, but realize I need to fully follow her method to get the job truly done. And ironically I gave my copy of the first Marie Kondo book last night to my aunt. If I need it again, I'll turn to the library and borrow it. 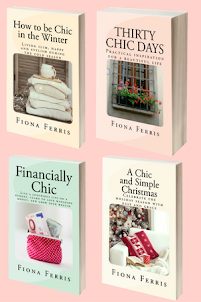 Fiona, like you, I love the Sophie Kinsella books. But I got partially through her "Shopaholic in LA" and just couldn't finish it. Perhaps it was all the shopping and buying useless things--clutter-- that finally ended my interest in that series. Kandace, I know what you mean about Shopaholic, maybe the series has run its course because even the main character Becky is rethinking her previous shopping habits and realising that she can't buy happiness from the shops. Actually, that happens in Shopaholic to the Rescue - the LA book was pretty dire, probably the weakest in the whole series. Adding insult to injury, it ends on a cliffhanger for the Rescue book - I felt like I'd read half a book! Despite this, I still think Sophie is such a talented comedic writer. Haha, Vannessa, you're so cute. And you're speaking my language! Congratulations on your new home!!! I love your kitties, they're so adorable in the boxes! Your newly organized shelves looks great! I've been having a tough time getting started on the decluttering, so thank you for the inspiration! You can do it, Anonymous! Getting started is the biggest hurdle, but it gets better from there, and your place will look and feel sooooo amazing afterwards. Good luck! Thank you! I need all the inspiration I can get! Last night, I managed to clear off the coffee table. Small, but something. I have to be patient that this will take a while...after all, all this clutter & mess didn't happen overnight. But I am definitely looking forward to having a tidy space! The after photo looks so calm and refreshing. I love before and after photos of decluttering! 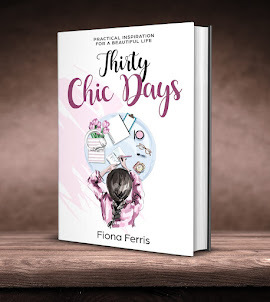 Fiona, will your Thirty Chic Days book be in paperback form as well as kindle? Stephanie, I'm a before and after fan as well. Merci. Hi MJ, yes it will be out in paperback as well - it's 300 pages long! You always have such great ideas! Inspired me for years. Thank you very much Wendy, what a lovely thing to say. I love it that your kitties helped you declutter. They are beautiful! I think Tuxedo cats are tres chic. Thanks Kathy! Up until a few months ago, I'd never heard of 'tuxedo cats' and I googled the term to see if it was a special breed because they did sound tres chic and very YSL 'le smoking'. Imagine my surprise when I found out that I live with two of them :) Jessica has hers buttoned up and Nina's is unbuttoned.